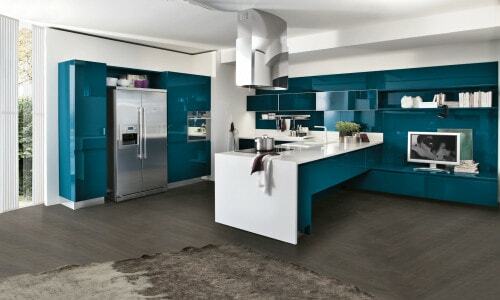 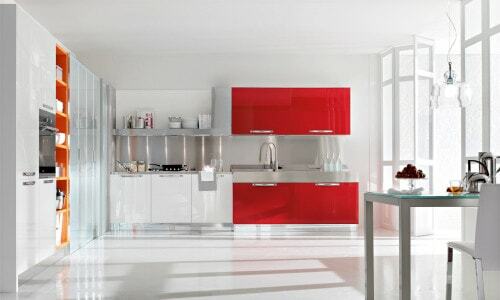 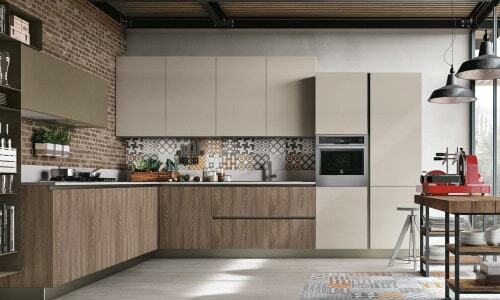 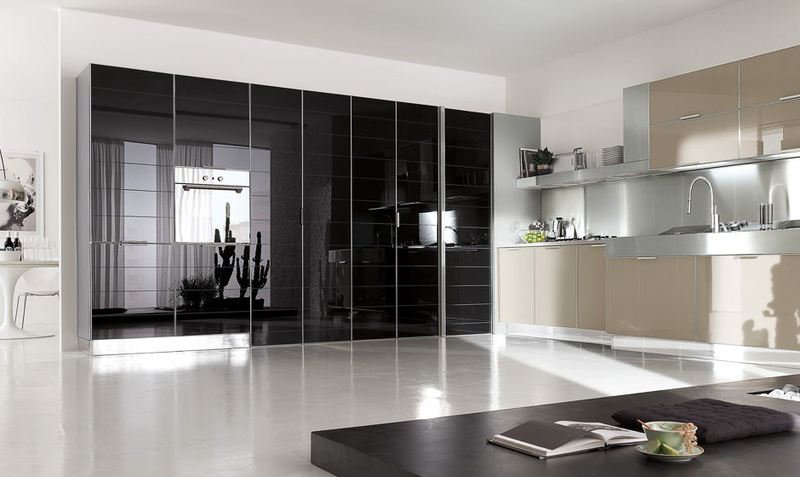 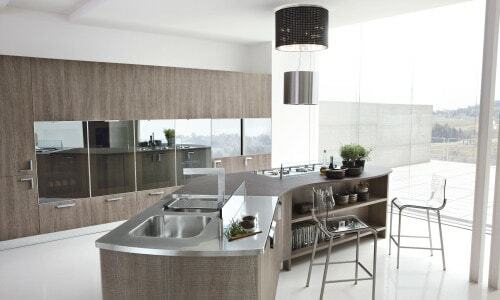 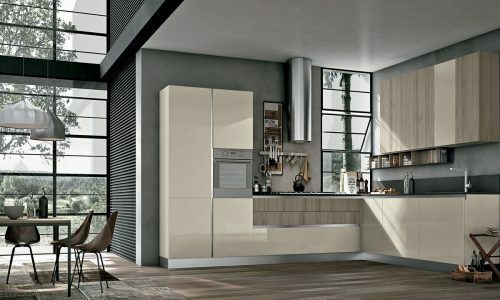 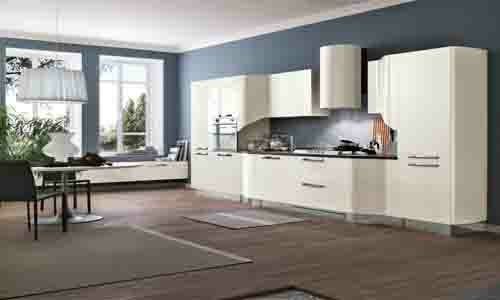 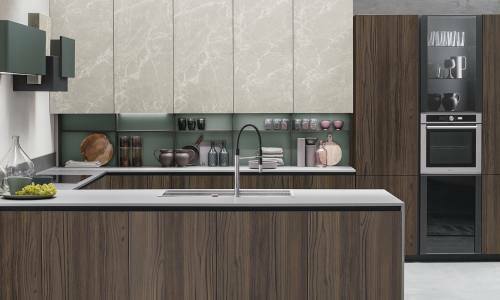 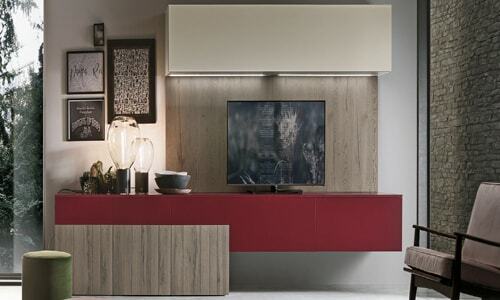 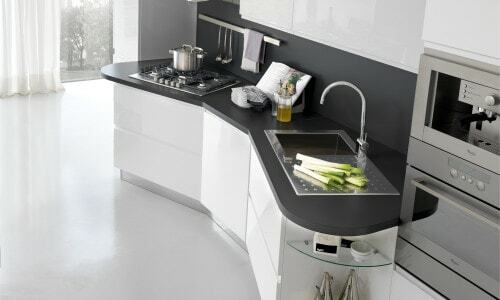 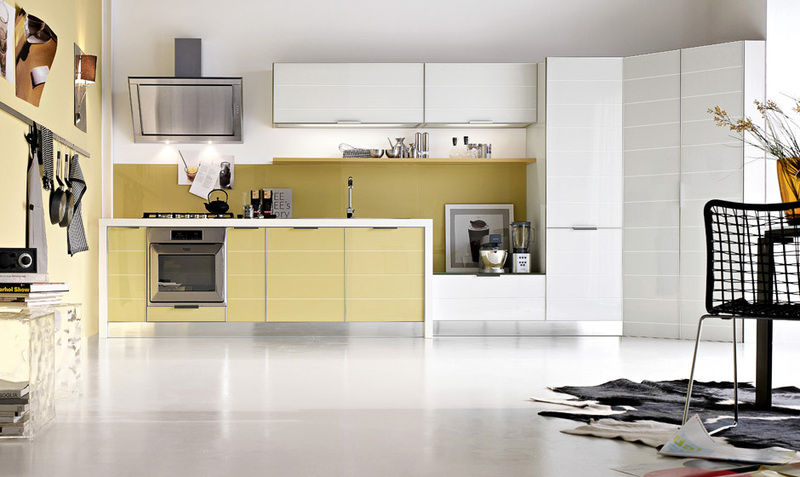 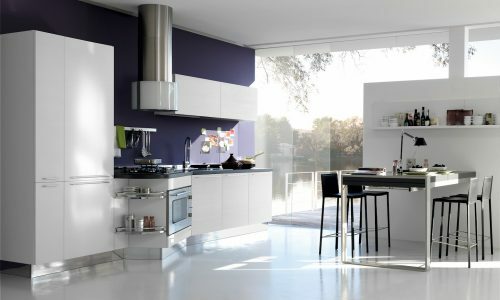 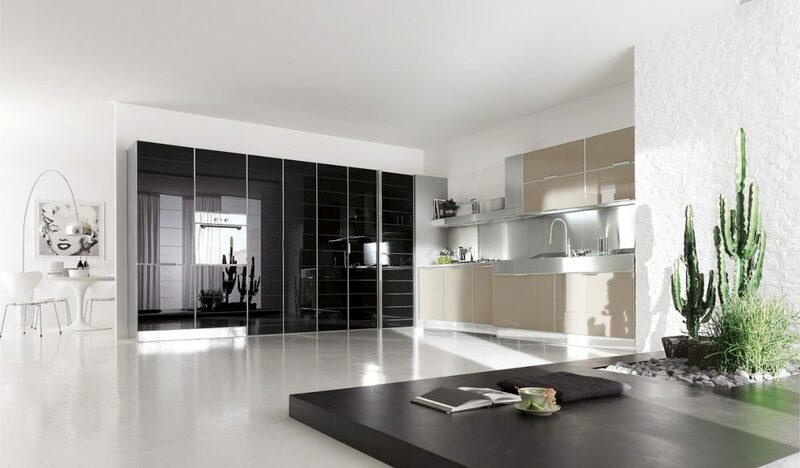 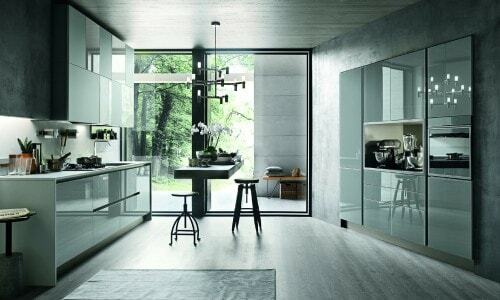 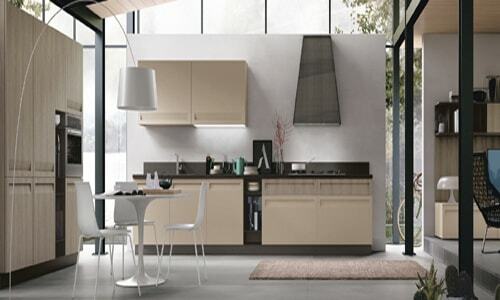 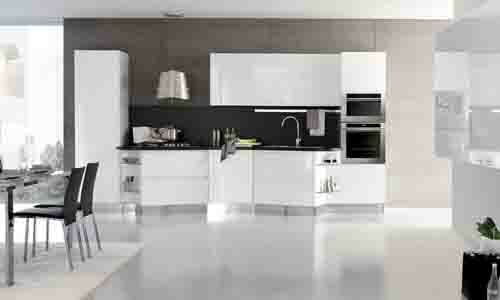 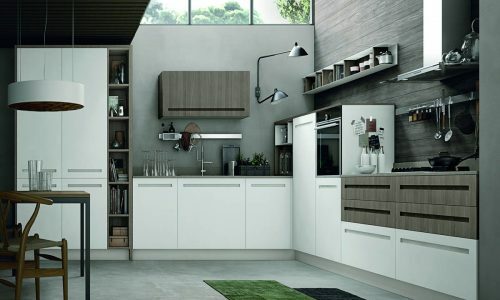 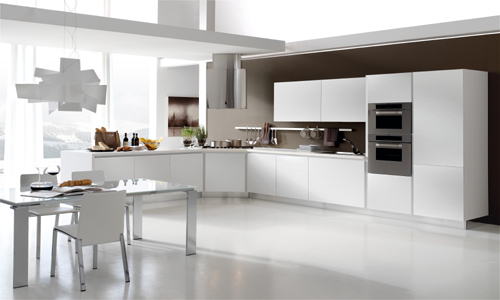 Modern kitchen Brillant is one of the models of the new Look System by Stosa Kitchens. 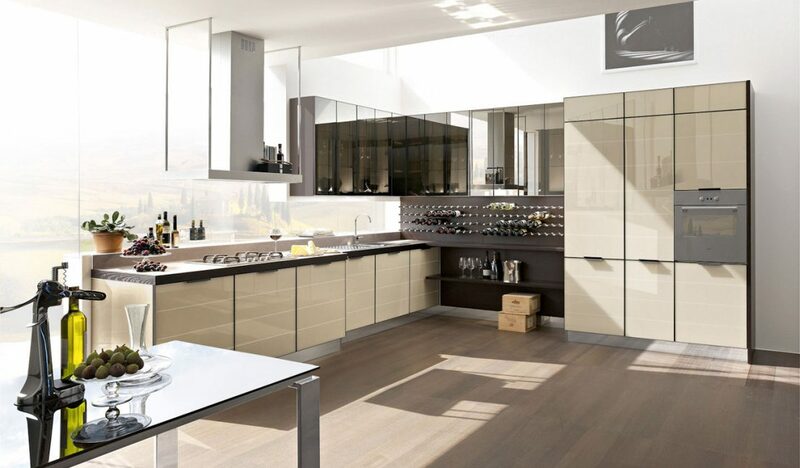 The advantages of the new and only kitchen Sydney glass system are combined with essential and sophisticated design in the Brillant model, which is characterized by the predominant use of glass, a material that confers lightness and brightness to the whole. 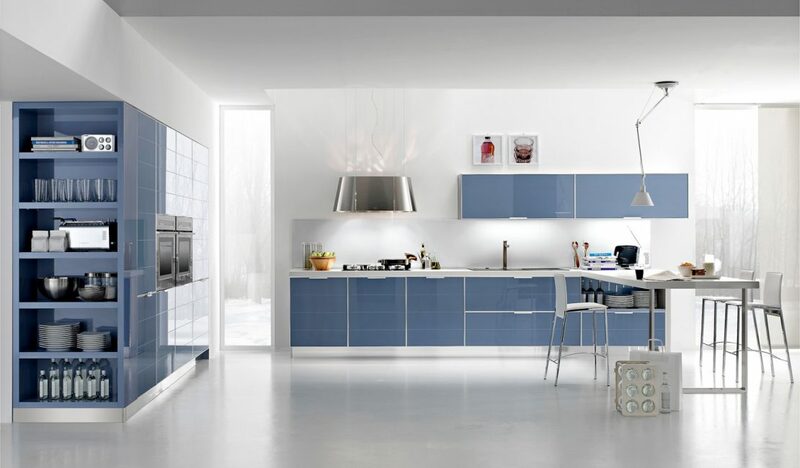 Columns, overhead and lower cabinets with doors in aquamarine glass, smooth and slatted; Brill-finished aluminum frame; designer stainless steel hood; peninsula with countertop sustained by Frame support. 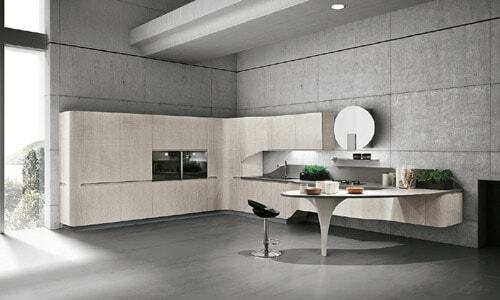 Each composition is born from an accurate study of spaces, in order to guarantee a happy union between functionality and aesthetic, in total compliance with ergonomics. 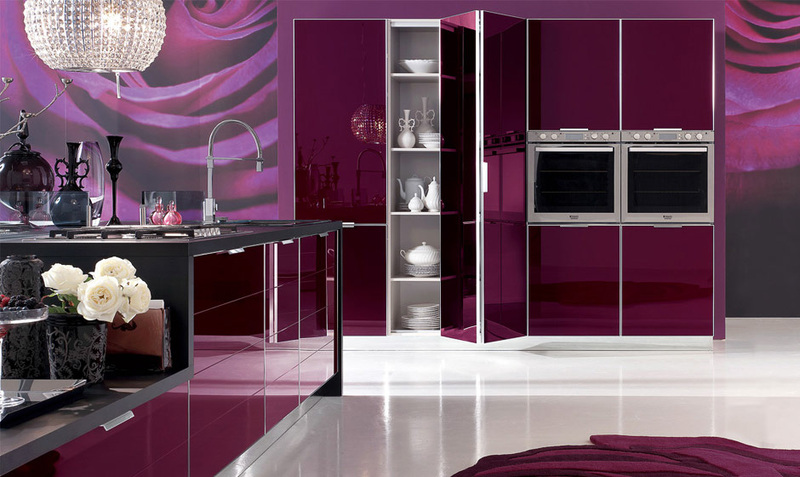 A proposal made up of base units and wall units with doors in smooth glass with plum finish, column units with doors in slatted glass with plum finish and brill finish aluminum frame. 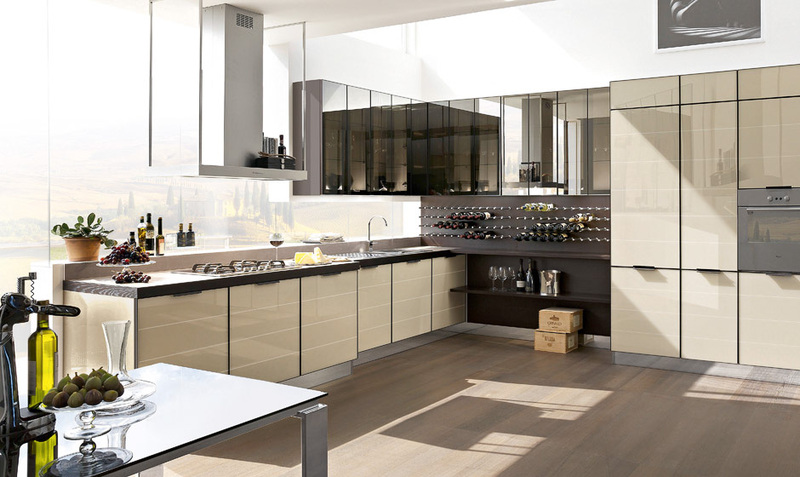 Bottle-holding wine rack in dark oak; lower cabinets in off-white slatted glass; doors of the overhead cabinets in Stopsol glass; countertop with dark oak profile; designer steel hood. 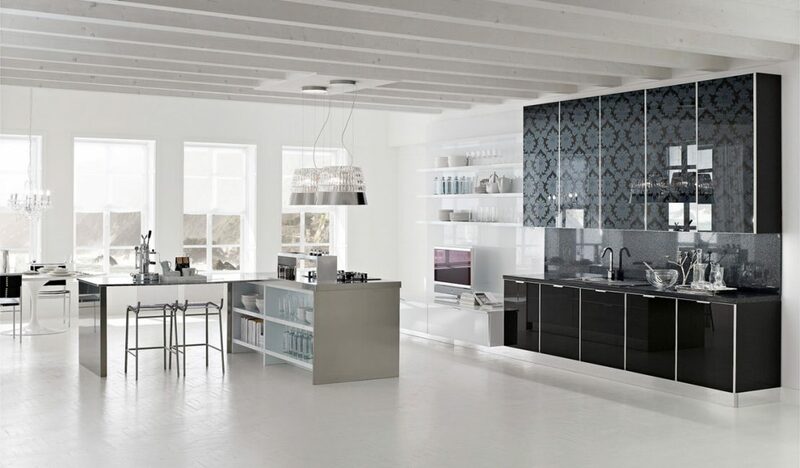 Care for details and thoughtful combinations define the style of the Brillant model. 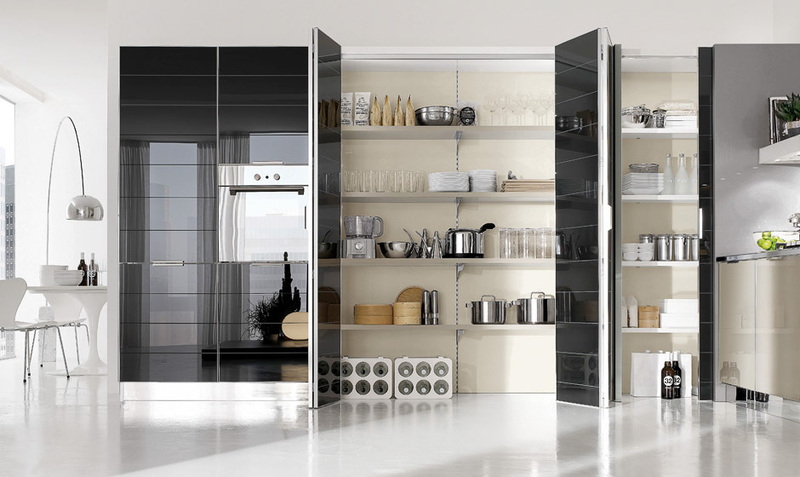 Pantry with double folding door in black slatted glass, a space-saving solution that is made both practical and elegant by the choice of material. 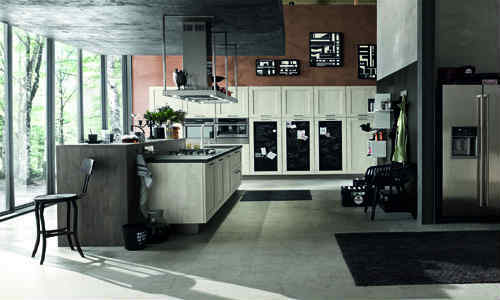 Column with swing door and column oven with glass front. 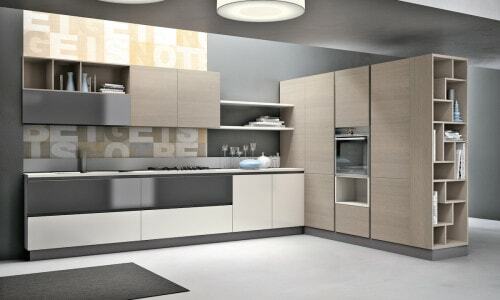 Brill-finished aluminum handles perfectly integrated within the frame. 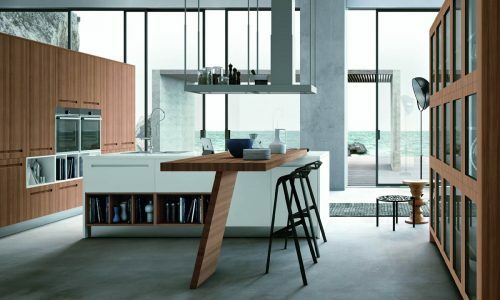 Numerous possibilities for kitchen tools support and organization, starting with the corner column with a practical folding door. 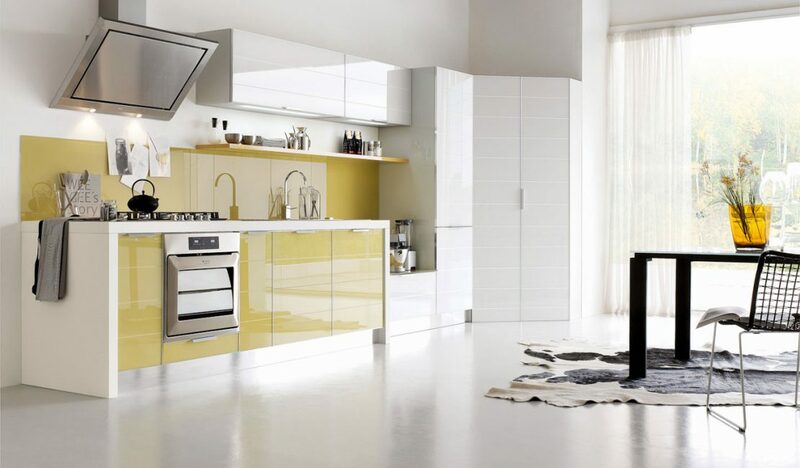 The space is divided by maize-yellow lacquered shelves, with support rack.